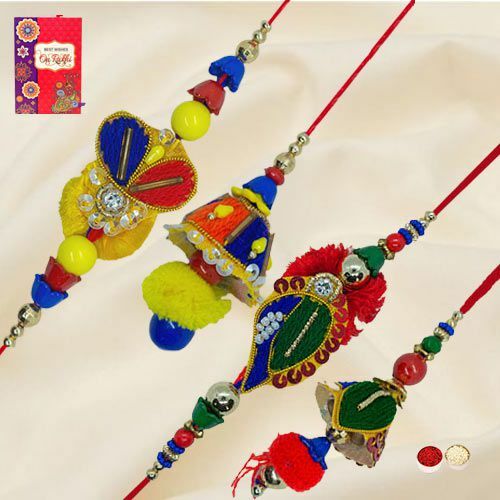 Wish for the prosperity of your dear ones this Raksha Bandhan by ordering this Exciting Bhaiya Bhabhi Pair Rakhi Set complemented with a free Rakhi, Roli Tilak and Chawal. Send your best wishes to your loved ones with this amazing pair of Rakhis on the special occasion. Little Variation in the design may occur.